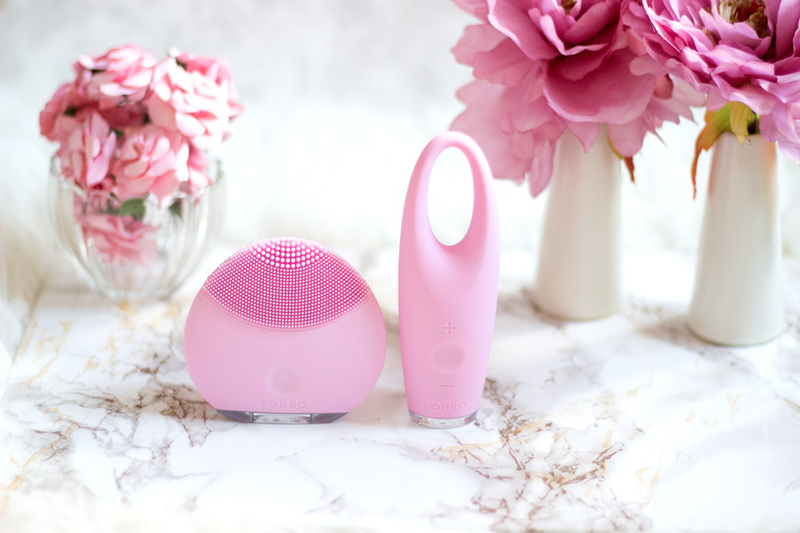 You all know I am a huge fan of everything FOREO and I am obsessed with their beauty devices and cleansers. I have been extremely lucky to test out a wide range of their products and I have enjoyed every single one of them. 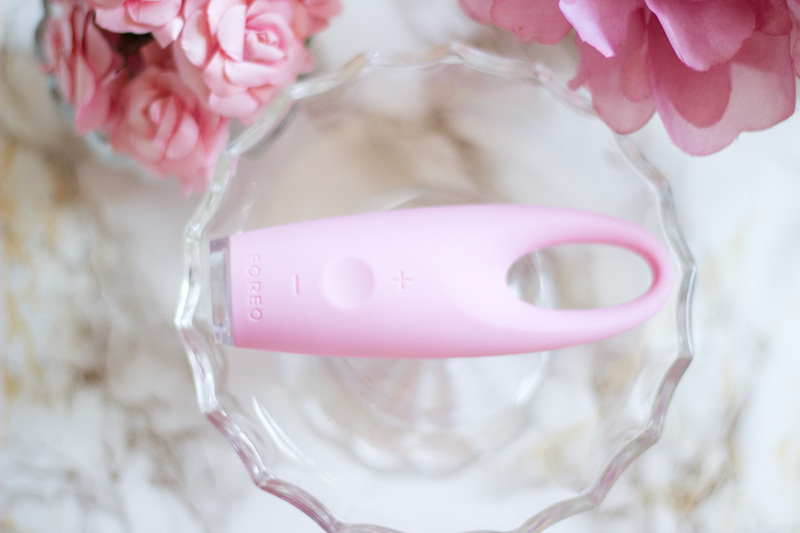 There is also a blog post on the FOREO Launch Event last year I was kindly invited to where I had a chance to see the FOREO Iris Eye Massager*. I am sure you may have seen it featured in a couple of posts already including my favourites because I have never tried anything like it.. I thought it would be nice to share my thoughts on it as I have used it for almost 6 months already. I sure you know the drill by now if you are a regular reader of this blog- FOREO do amazing packaging that are very compact and practical. 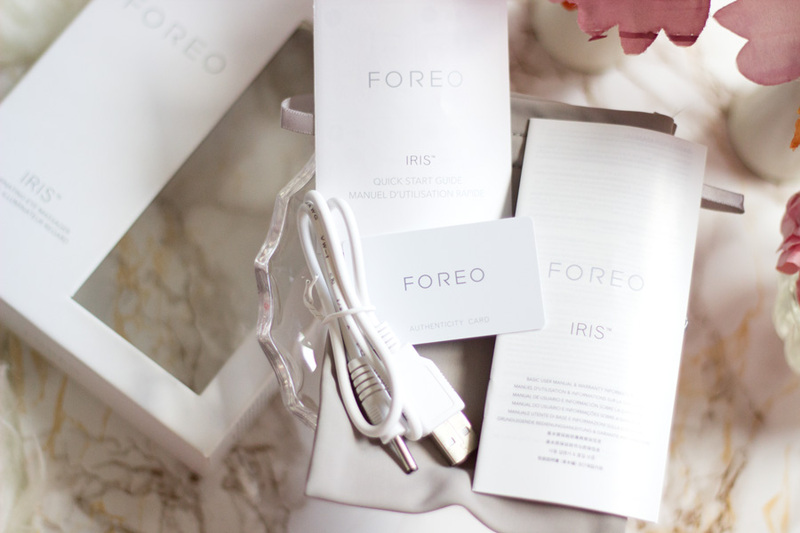 Inside the packaging, you get the Foreo Iris Eye Massager, Warranty Card, Charging Cable, Instructions Manual and a very handy Travel Pouch. Along with these accessories, you also get a 2-year warranty and a 10-year quality guarantee and it’s important to register your device on the FOREO website to get them started. I just love how compact it is and I have travelled with it in its original packaging with no issues. On shorter trips, I do tend to use the travel pouch. I received the shade Petal Pink which matches so well with my Foreo Luna Mini and they photograph so beautifully I have to admit. It comes in other colours as well. What does the Iris Eye Massager do? I am sure the name already gives away what this device is but its functions I feel are much more than just massaging the eye. FOREO describe the Iris Eye Massager as a high technology eye care device which uses a unique technology inspired by fingertip tapping eye massages. This unique technology makes it far more effective than manually massaging the eye contour. The Iris Eye Massager has a soft and smooth silicone design which is curved in a way that fits perfectly in the eye contour in readiness for a good massage. It is absolutely body safe, hypo-allergenic and free of BPA and phthalates so it is ideal for use around the delicate eye area. It is made from non-porous, medical-grade silicone which resists bacteria build-up so you don't have to worry about that. I have to say I was absolutely intrigued about this device when I first saw it and to think a device could massage my eye contour effectively with little effort on my part made me delighted. First off, I am a big believer in eye creams and I have seen so much improvements since I started using one. I usually use finger taping motions to massage my eye creams around my eye contour (as recommended by skincare experts) so a device that would do this for me was more than welcome to my stash. The first thing I do when I receive any Foreo device is to give it a full charge. I just simply connect the cable cord to the device and charge it. It took me an hour to get it fully charged. Once you start charging it, it would give off a blinking light which would continue blinking all through its charging phase. 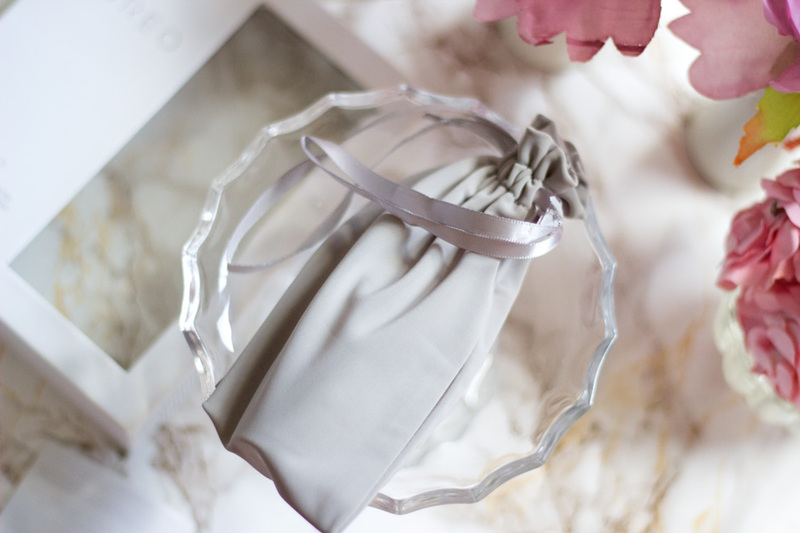 Once it is full, it would give off a steady glow and your Iris Eye Massager is ready to use. It’s also possible that the Iris may be locked when you receive it so all you need to is press the ‘+’ and ‘-‘ button at the same time and it would unlock so you can charge it. I like that you can do this as the chances of it coming on and vibrating (assuming you travel with it in its travel pouch and it rubs against other items) is quite minimal. A full charge guarantees 140 uses and I only had to charge mine last week since September (which is insane as it lasts for ages). The Iris Eye Massager has two innovative modes for use- The Pure Mode and The Spa Mode. The Pure Mode replicates a manual massage with finger tips while the Spa Mode recreates a professional beauty treatment by combining delicate pulsations with a manual massage. I love both modes and use them depending on my mood. It also has 8 speeds which is amazing as you can adjust the speed to what suits you best. If you want a really gentle and soothing massage, you can use the lowest speed and if you want more of a firming massage, you can switch it up. Having said this, all the speeds are very gentle and it’s just the frequency of the massage that is slightly increased so it is really lovely to use. 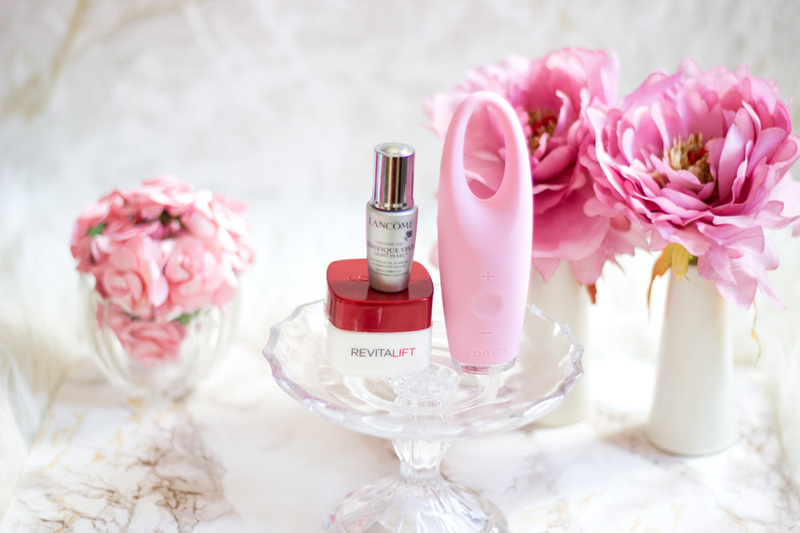 It is super simple to use the Foreo Iris Eye Massager and it is indeed one of the highlights of my skincare routine. I always look forward to using it as it’s like my little pamper treat to myself. I use it straight after cleansing my skin in the bathroom. I keep it in my bedroom because I just love to relax on my chair while I give my eye contour a massage. I start off with applying my eye cream around my eye with my ring finger as it’s the gentlest finger. Next, I whip out the Foreo Iris Eye Massager and switch to the Pure Mode which I use on a daily basis. When I have had a long day I usually opt for the Spa Mode which feels so, so good. I just switch it on, choose the mode I want and the speed (I use 3 or 4) and I use it around the contours of my eye. This area is super delicate and I can’t think of any other device that could be gentler than the Iris Eye Massager. I also use it around my brow bone and that's all really. It takes only 30 seconds and once the 30 seconds is over, the integrated timer indicates with a pause and blink that it’s time to move to the next eye. The entire routine takes one minute and it is super easy to use and very soothing. 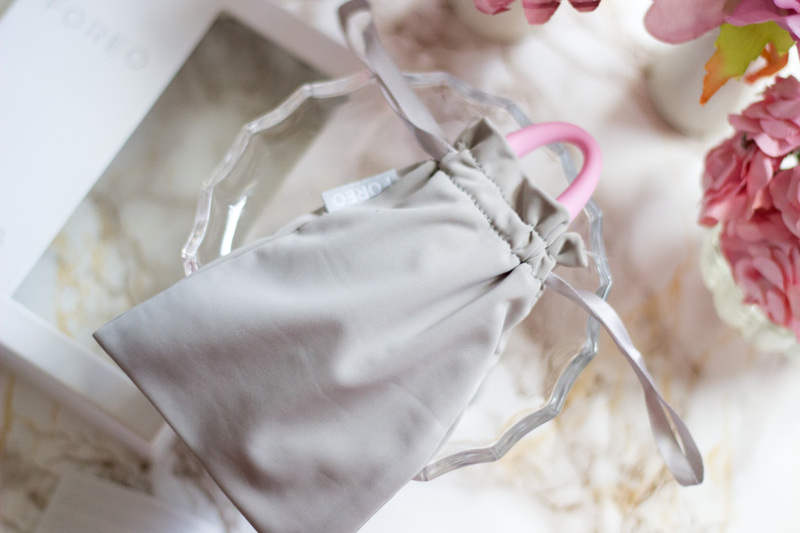 Although I use mine in my bedroom, it can be used in the bathroom as it is fully waterproof and light weight as well. I tend to give it a good clean with warm water to remove any residue of eye cream or serum and it’s ready for my next use. I have been very naughty and used it on my forehead and let me tell you, it feels absolutely amazing. On days when I have headaches (especially the ones that originate from my eyes), I give myself an eye contour massage and also massage my forehead and believe me, it works so well. I feel absolutely relaxed. Just like many good things, the Foreo Iris Eye Massager comes with a slightly pricey price tag. It retails for £99 which I know may be hard to part with if you have never tried it. I would say it is absolutely worth it and it’s a device that would last a really long time so you do get a good return on investment on it (it has a 10-year quality guarantee). I have never had any problems with my Foreo devices and I know they would last a good while. I think matured ladies would love this because I believe it would help prevent premature wrinkles, fine lines and other signs of ageing (which usually shows up around the eye contour area). It would definitely make an amazing Mother’s Day Gift. In addition, I feel like it is a good way for younger ladies to prevent any problems around the eye area which may not come necessarily from aging alone but also from eye strain (I am always on my computer-which is super bad). I am really pleased with the Iris Eye Massager and I have used it for such a long time that it no longer feels enough to just use my finger tips for applying my eye creams. I find that even the least expensive eye creams and serums work so effectively because they are better absorbed with the Foreo Iris Eye Massager. This is one device that you would definitely see the results over time and in some years to come and I am excited to see them. That’s pretty much my review. 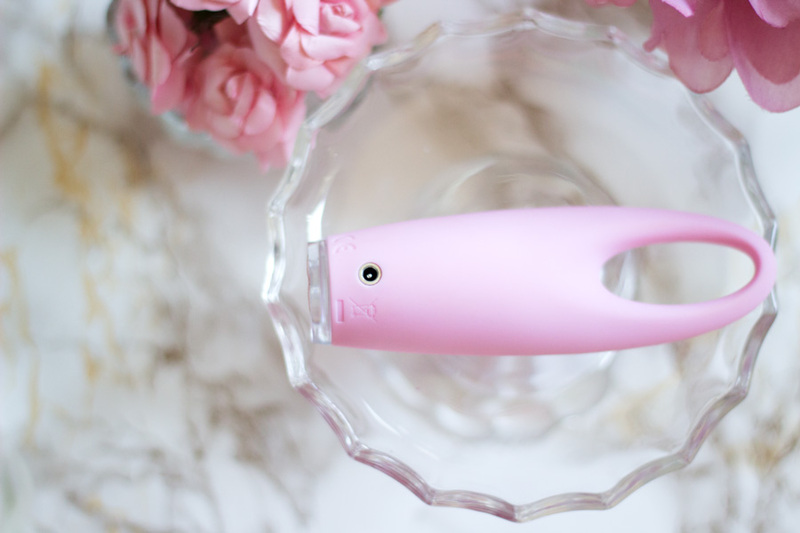 Have you tried the Foreo Iris Eye Massager? I haven't seen this product before but it sounds and looks so interesting! I really want one now.